2" square flush canopy mounts to our special 2" square, 6" deep junction box (included). Electronic transformer fits inside junction box. For ceiling only. 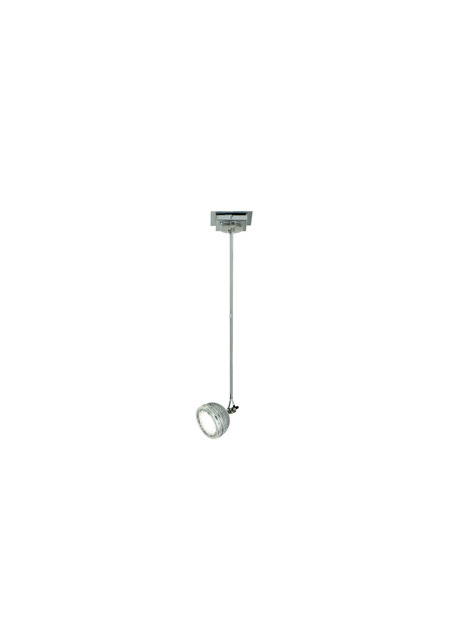 3" length: 12 volt, MR16 up to 50 watts. Other lengths: 12 volt, MR16 up to 75 watts. Lamp not included. See accessory for maximum wattage usage. Fixture ships with chrome arms and is available in black or chrome canopy finish. Length -- Choose -- 3" 6" 12" 36" 60" 72"